“What you do becomes who you are,” said Aristotle. That might be the best advice ever offered for improving one’s financial situation. And, it seems, we are embracing that guidance. A majority of Americans are cutting spending and making other sacrifices to meet their long-term money goals, according to a recent survey by Wells Fargo and Gallup. Keeping an older car – A huge majority of the respondents (81%) said they are holding onto their cars long after the love affair is over. This practice is super-smart. Cars, especially new ones, are a massive drain on personal budgets. There is no freedom like the freedom from a monthly car payment, so get on a first-name basis with a good mechanic. It will save you a fortune over the years. Side note: When the time comes to buy a new vehicle, choose wisely. Pick a model that is reliable and affordable to repair. 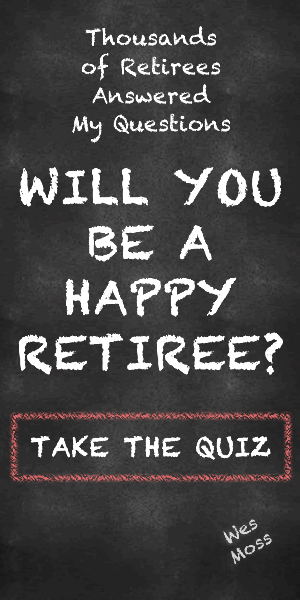 The research for my book, You Can Retire Sooner Than You Think, shows that the happiest retirees tend to drive something like a Toyota Camry while unhappy retirees drive – wait for it – BMWs. Working longer – Almost three-quarters (70%) of the survey respondents said they’ve tacked extra years onto their careers to bolster their finances. That’s admirable. However, I’d prefer that folks stay in their job because they love their work. This statistic is a good reminder to prioritize retirement savings from the first day of your first job. Canceling TV subscriptions – Nearly two-thirds (65%) said they had trimmed their spending on video entertainment. I’ve long urged my clients to go through all of their monthly expenses on an annual basis to determine which ones they can eliminate. I guarantee you will be surprised what you find when you run a comb through your bills. Cutting back “sharply” on daily living expenses – If you are really serious about this, try a month-long “financial shutdown,” in which you spend ONLY what you must to meet your basic needs. One of our financial advisors at Wela did this and it changed his money life. Not only did he and his wife sock away some extra money; they also learned how much they don’t need to be happy. Getting a cheaper phone plan – Why are you paying so much for your cell phone service? Because it’s a hassle to change carriers, that’s why. But more than half of the survey respondents (57%) have tackled that chore and reduced their phone bills. Cutting back on vacationing – This is a tough one. Travel can be expensive. That’s why 53% of respondents say they have reduced their vacation time. Allow me to suggest that instead of eliminating vacations, you might consider taking shorter and cheaper vacations. My research for You Can Retire Sooner Than You Think indicates that happy retirees take 2.4 vacations per year while their unhappy peers take just 1.4 vacations. Keeping a job or career they don’t like – While I understand this one, it troubles me that more than half of the survey participants (52%) say they are unhappy in their jobs or careers. Workplace dissatisfaction can lead to overall unhappiness and even health issues. No paycheck is worth the sacrifice of your physical and mental well-being. Because remember, what you do becomes who you are. Previous ArticleMoney Matters Special: The Great Chinese Hack Attack, Interest Rates Spike, and What Would You Do If You Retired Today? – October 7, 2018Next ArticleHow Many Americans Actually Qualify As Middle Class?